Below you will find IAS 2018 Admit Card. IAS i.e. Indian Administrative service is among the toughest examinations in the country. It is basically conducted by UPSC. This is one of the reputed examinations and requires dynamic and vibrant preparation owing to its high level. In order to appear in the exam, the students need to have the admit card which will be issued by the official exam authority. The admit card or commonly known as e – admission certificate will be released only in the online mode. • The admit card is the important document from the examination point of view as it contains the important information regarding the exam as well as the candidate. • It is expected that the official authority will release this e- admission certificate three weeks before the commencement of the examination. • The e – admission certificate will be made available in the online mode for downloading by the candidates. • No admission certificate will be sent by post and the downloading is the only way to obtain the same. • The direct link to download the IAS Admit Card 2018 will be available here soon. The students can use that link so as to reach the page where this official document will be available. • In order to initiate the process, the students will have to enter their registration id and other asked details (if any) in the online form. • On the submission of these details, the students will be shown the copy of the e- admission certificate. The students can download the same by pressing the download button. • The admit card will be get printed on the white paper and bring the same on the examination day. No candidate will be allowed to take the exam unless he or she holds the admit card. • Soon after obtaining the admit card, the students need to scrutinize the details printed on the same. • If any kind of discrepancy/ error is found on the IAS Hall Ticket 2018 then the students should bring this problem to the notice of UPSC. • If the student fails to obtain their admission certificate then it is the responsibility of the student to contact the official authority as soon as possible. Information in this regard can also be obtained from the facilitation counter located in the commissioner’s office either in person or by phone. • In the case, if the official authority does not receive any information regarding the non – receipt of the admission certificate then only the candidate himself is responsible for the non – receipt of the admit card. 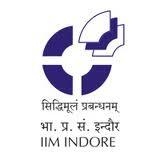 Indian Institute of Management (IIM) Indore is the sixth Indian Institute of Management, which came into existence in year 1996.